A few weeks ago I was asked by a friend and neighbour in Fernie (my home away from home where my alter-ego and better self reside) whether I’d be willing to place at risk my 13-0 Small Claims Court record from 1997-1999 and attend before Fernie City Council at a rather contentious and strenuously opposed rezoning application. Any reason to get to Fernie is worth accepting and seeing as the ask was made during a rather raucous dinner party, I willingly accepted. After a briefing session at the Currie Bowl, we headed over to City Hall to do battle. As you can imagine, the residents of this small B.C. mining town really like it when Albertans come down and seek to rezone land from Park/Recreation to single family residential so the owners can build a giant shed to store their toys, but what unfolded that Monday night at Fernie City Hall was nothing short of remarkable. What could have easily been a complicated and protracted evening at City Hall was actually an exchange of fair, reasoned and thoughtful arguments from both sides and an engaged and thoughtful Mayor and Council truly striving to reach a quick compromise. At one point, a Councillor asked my friend if he’d consider reducing the size of his proposed building and registering that on title. The answer was ‘yes’ and the amendments were drafted, right then and there. The City Manager provided the necessary language to the Mayor’s assistant who, with help from Councillors and input from other spectators in attendance, drafted, signed and filed the paperwork to effect the necessary changes. Case closed. Hearing over. Next matter. 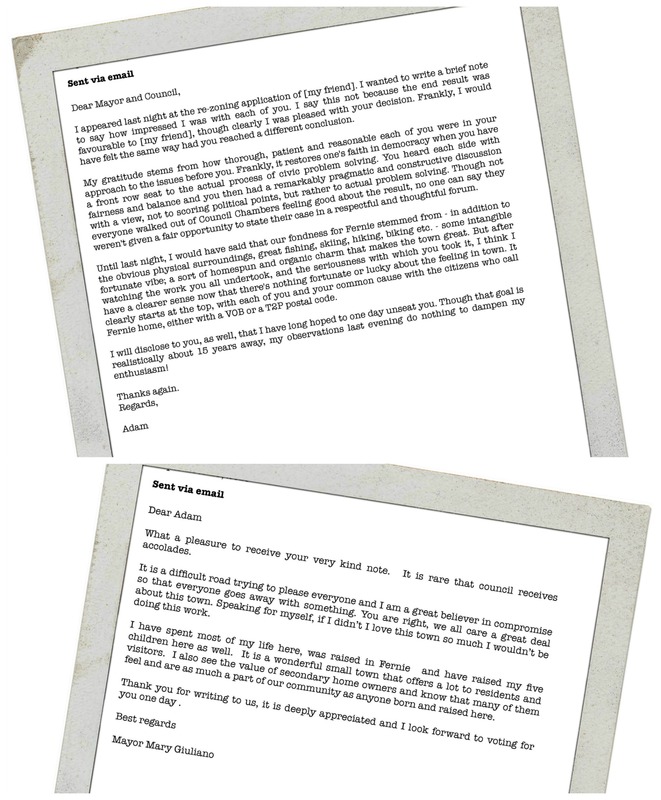 I share this little story because I think it’s fair to say that a similar exchange of love letters is unlikely to occur between myself and the City of Calgary Permitting Department.For a city known for its entrepreneurial spirit, it was with some incredulity that I recently read about Calgary receiving recognition as the number one ranked city to a run a business in Canada. Indeed, according to a new report by the Canadian Federation of Independent Business “Calgary’s surrounding area is outstandingly fertile for entrepreneurial pursuit.” The report describes how, for the fourth year in a row, and based on a wide range of data and metrics, Calgary was chosen as Canada’s top place to start and grow business in 2015. Edmonton was ranked third. Montreal, for what it’s worth, was last. In explaining Montreal’s basement-dweller status, the report cited “high taxes in general, red tape, road construction and concerns about the future harming its entrepreneurial appeal.” High taxes, red tape, and an uncertain future, you say? 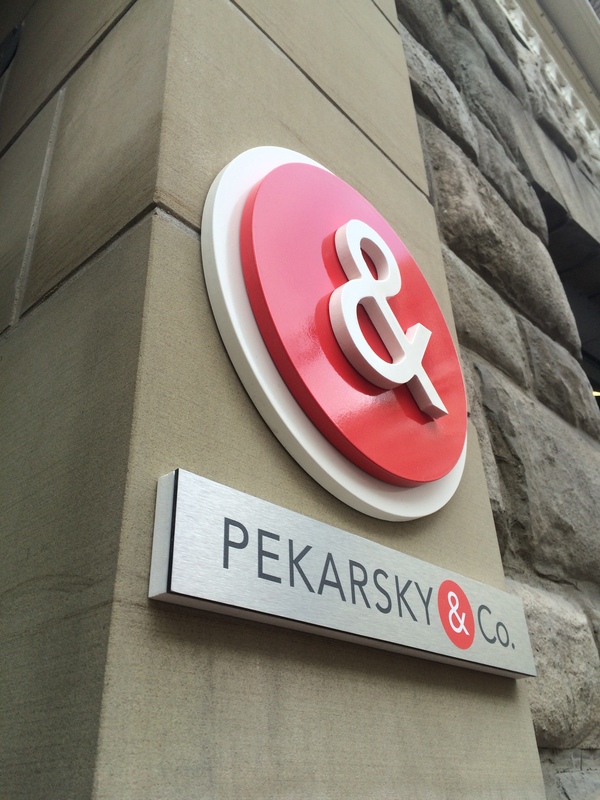 Ironic then that our small business has been dogged, delayed and dragged through the municipal muck and minutiae of a process that has been the furthest thing from “fertile for entrepreneurial pursuit.” You see, back in the spring when we commenced our rebranding exercise and renamed the firm Pekarsky & Co., we discussed placing a small, simple external sign outside our Calgary office door on Stephen Avenue mall. The idea, simple enough, was to affix a Frisbee-sized red ampersand to the sandstone face of the entryway of our building alongside those of our neighbours, The Cellar, Patagonia, Out There, Twigs and so many more on our block. I know. A sign. For a business. On a busy pedestrian mall. That’s some pretty crazy entrepreneurial visioning but, hey, this is Alberta. It’s now November and though I’m pleased to report that our signage was installed this past weekend, it remains incongruous to me that one of the most important factors cited in the CFIB Report in support of Calgary’s first place finish was “regulatory burden” (or, presumably, lack thereof). “Regulatory burden” said the report “is the second most important issue for small business owners as it generates high costs to business owners in terms of time and money. The higher the proportion of business owners who cite regulatory burden as an issue, the worse off municipalities are in creating a sound environment for businesses.” (The most important being tax burden, but that’s a discussion for another day). For the truly inquisitive among you, feel free to click here for the complete Captain’s Log; a chronicling of the twisted and tortured journey through the City’s permitting labyrinth. If that’s “fertile entrepreneurial ground”, then I’ve got some swamp land in Florida to sell you. Nothing short of a tenacious effort by our superb creative team at West Canadian as well as the professional permit procurers at Five Star Permits, the self-described “sign permit experts” who, according to their website “scrutinize municipal bylaws, focus on building productive relationships with city staff, strive to understand what information will be needed in order to process your permit as quickly as possible, then work with you to put all the supporting documents together.” Then they “doggedly follow-up until your permit is approved.” Let’s not forget, we’re talking about using double-sided tape to, basically, stick a red dinner plate to a wall. Forget for a moment the entire discussion around how a permit Sherpa can be a viable business unless, of course, scaling the summit of Mt. Red Tape truly requires such a service. (Memo to self: consider starting an app-based ride share program connecting riders and drivers, thus reducing dependance on unreliable and expensive taxis…check with Five Star Permits before going too far…City may not like). Where’s Mayor Giuliano when you need her? Well, she must’ve seen the bat signal. Whilst mountain biking in Fernie on October 23rd, I received a phone call from the building Property Manager who had been in touch with Triple Five who had liaised with the City after consultation with West Canadian and white smoke billowed from the Apostolic Palace declaring: the sign shall be installed on Friday October 30th.Point is, I don’t think it’s the city that makes the entrepreneur; I believe it’s the entrepreneurs that make the city. I’ve got Rachel Notley’s hand stuffed ever deeper into one of my pockets and Justin Trudeau’s burrowing into another. There’s enough red tape that entrepreneurs are making a living helping their clients cut through it. And, as our October proved we, and our clients, continue to fight the fight in spite of, not because of, any entrepreneurial do goodery by our civic, provincial or federal fertile surroundings. Rather, we did what we do best; we got out there and spoke, wrote, sponsored, hosted, brought people together and, in a word, made our own luck. “The harder I work, the luckier I get” Henry Ford once said. 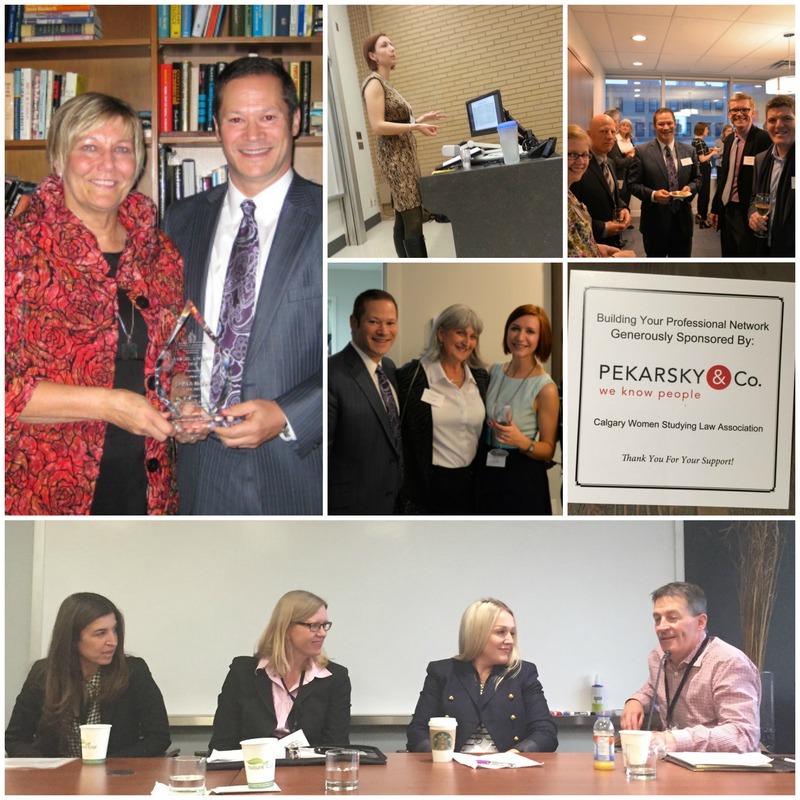 Rick Vogel presenting the Vogel Award to Sheila McKay for her outstanding service to the nursing profession through her dedicated involvement with CARNA; The Pekarsky & Co. sponsorship of the Calgary Women Studying Law Association mixer; Jane Bogatyrevich speaking at the International Student Career Forum at U of A about personal brand; the Edmonton office Thanksgiving Open House; and Lyndsey Dangerfield representing Pekarsky & Co. on a panel at the Law Society of Alberta’s annual Internationally Trained Lawyers Conference.At Pekarsky & Co. we adhere to the great quote, originally ascribed to Abraham Lincoln, that the best way to predict the future is to create it. 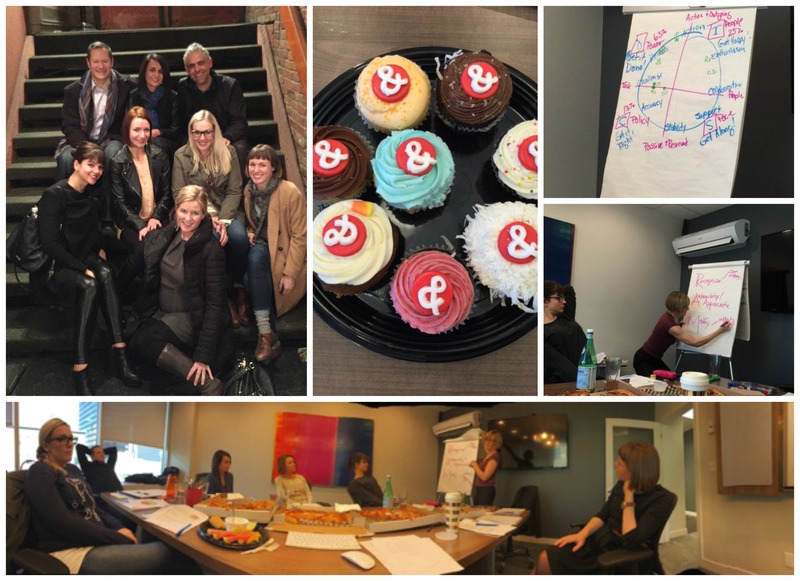 To this end, we held our annual firm planning retreat in mid-October, holing up in our Edmonton boardroom for two days, reviewing our business, setting some fairly audacious goals, undergoing a personality assessment and sharing a lot of laughs and even more cupcakes. High taxes, red tape, and an uncertain future aside, we firmly believe that Alberta has long been a province of optimists; people inspired to succeed by their own talents and efforts and it remains so; that Alberta has always attracted self-starting, self-confident doers; that to survive in the vast expanses of the West, Alberta’s early European arrivals cultivated the values of volunteerism, integrity and hospitality alongside a “can do” spirit and pride of place; and that every succeeding generation of Albertans has continued to bring these same values to life in its own unique way. 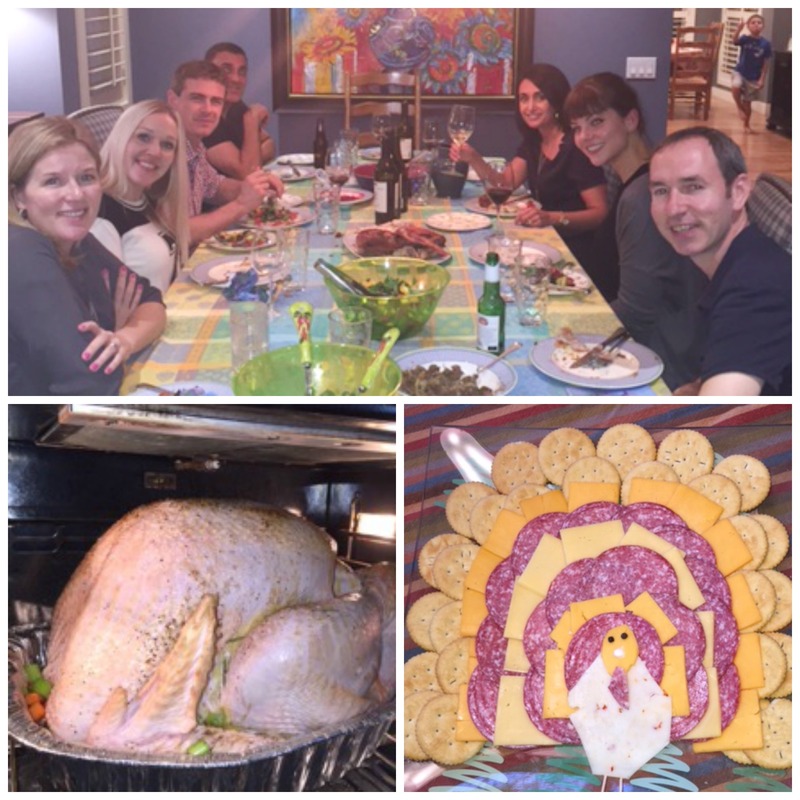 And, in the spirit of the pilgrims, while Edmonton opened its doors to friends and clients at our annual Thanksgiving open house, the Calgary office enjoyed a pot luck Thanksgiving dinner with one Pterodactyl-sized turkey and one made from Ritz crackers and salami. No, it has not been easy of late but that’s all the more reason to dig in and step up. No one’s going to do it for us so we may as well just go get it. In fact, come January we have a couple pretty exciting announcements to make about growth and expansion so stay tuned and keep reading!